The so-called Facebook Phone is again a hot topic on the rumor mill, courtesy of a Bloomberg report, but Facebook CEO Mark Zuckerberg continued to deny the speculation, saying there are no plans to build an iPhone competitor. Bloomberg's report reiterates weekend rumors that Facebook wants to build a mobile phone with social networking features at its core, which the social network vehemently denied on Monday. The report, sourced from "three people familiar with the matter," says Facebook is working on not one but two smartphones with London-based manufacturer INQ that would be sold by AT&T. The sources claim the phones will arrive in Europe in the first half of 2011, and in the second half in the United States, but it seems AT&T has not yet struck a deal with Facebook. According to the report, the phones would have Facebook features, but as with previous rumors, details are scarce on the implementation. 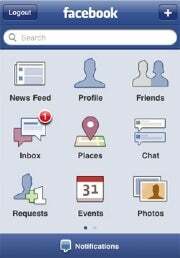 INQ worked with Facebook in 2008 to release a social feature phone in the U.K. called INQ1. 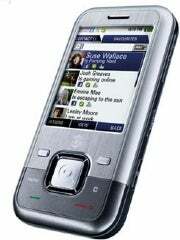 The phone had a sliding numerical keypad, a 3.2-megapixel camera, a 2.2-inch display, and was free with contracts, or very cheap unlocked. The first reports of the so-called Facebook Phone came from technology blog TechCrunch, which interviewed Zuckerberg on Wednesday. "Our goal is not to build a phone that competes with the iPhone or anything like that," Facebook's CEO said. "For now, I think, everything is going to be shades of integration, rather than starting from the ground up and building a whole system." Despite Facebook denials of any involvement with a branded phone, there are now several independent reports saying Google's Android operating system will be at the core of a Facebook-powered phone. Facebook has more than 500 million users worldwide, and over 100 million people use the social network from their mobile devices every month, according to estimates from the company.